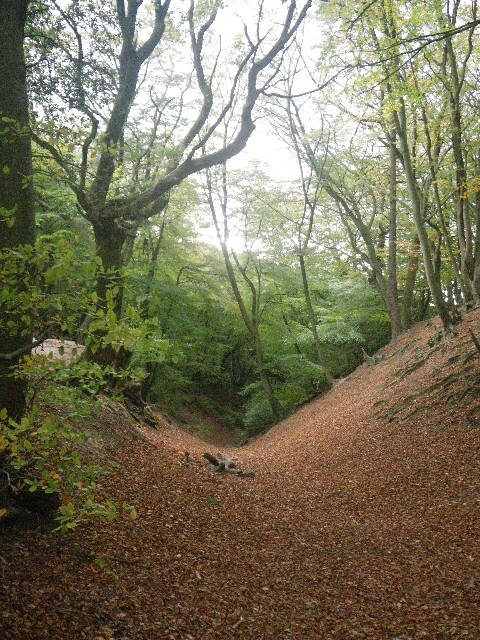 For a third year we kept the same two routes from Peaslake past places associated with the founding of the LDWA. 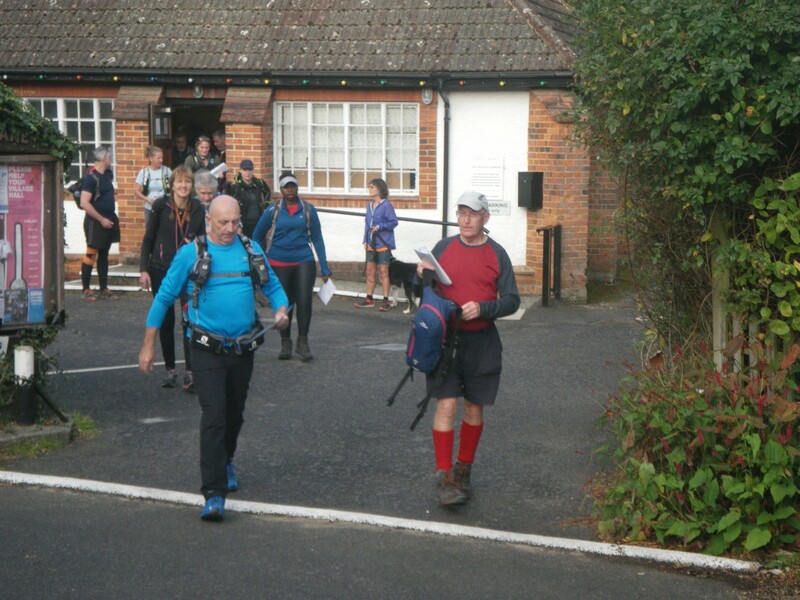 148 people started and 143 finished, 36 on the 16 mile route, 74 on the 27 mile walk and 33 on the 27 mile run. 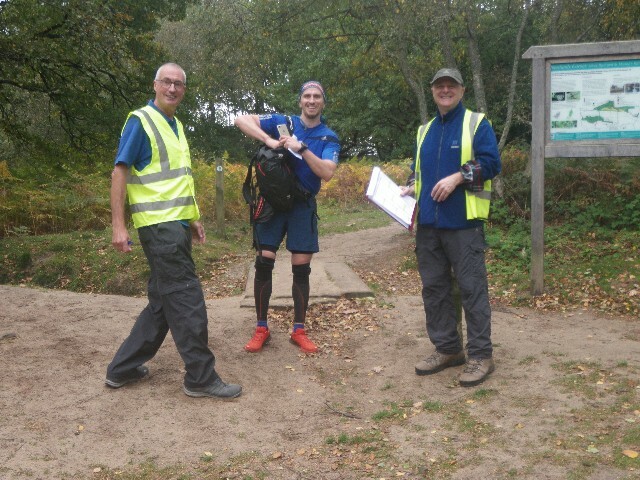 4 people on the longer walking route were deemed to be out of time on arrival at CP3 so were retired; one runner never reached CP1 and was disqualified. 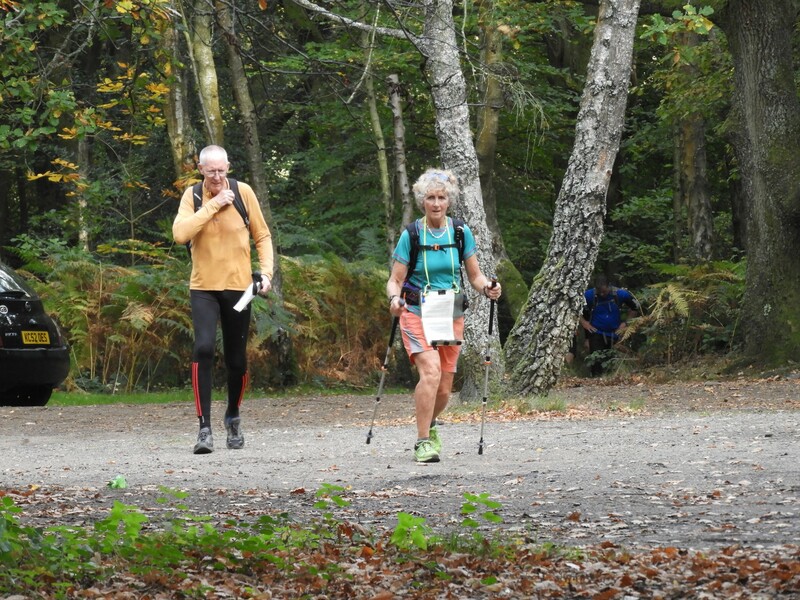 I have received several warm, positive comments from entrants and certainly everyone on the event seemed to be enjoying themselves. All the finishers received a certificate and the new badge. Many thanks to Keith Warman of the Kent group for his design work. 170 people had entered the event in advance and 10 more entered on the day (2 of whom thought they had entered in advance!) 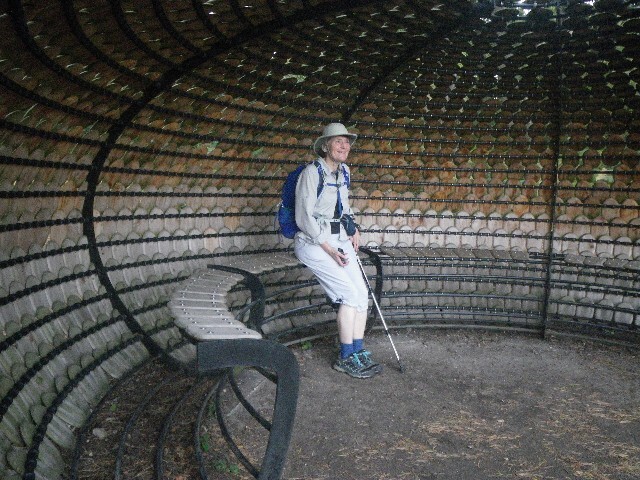 Despite the good weather (much better than the following day!) there were 32 No Shows – only 3 of whom had notified me that they were withdrawing. The 148 starters included 108 LDWA members from all over the country. There is a breakdown at the end of this report. 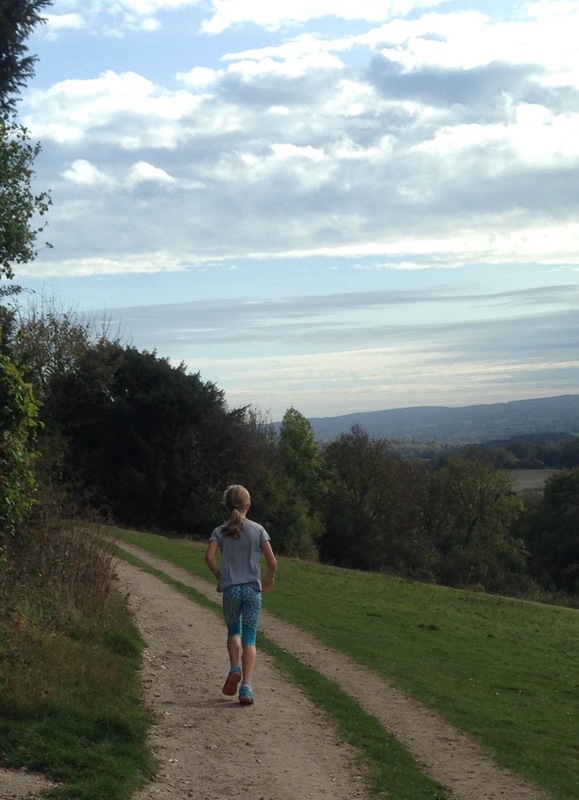 We had perhaps the youngest entrant ever, 2 months shy of her 11th birthday, who completed the short course in under 3½ hours! 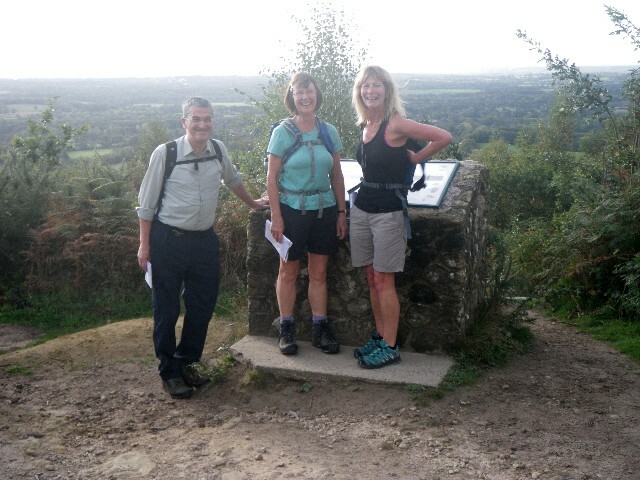 Two others took 9½ hours to do the same distance but I think enjoyed themselves just as much in the lovely countryside. 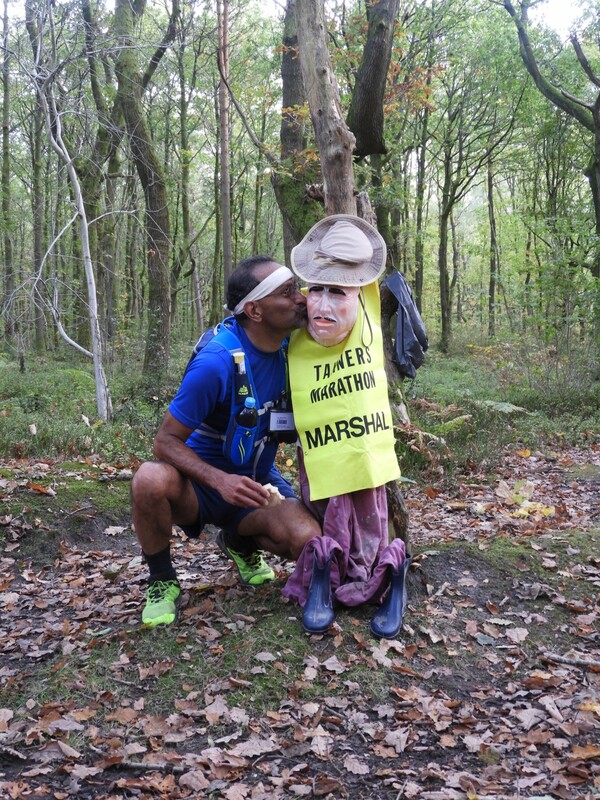 I am very grateful to the 25 marshals who assisted on the day. Several appeared in different roles throughout the day and some put in very long stints indeed. Each and everyone made a valuable contribution. 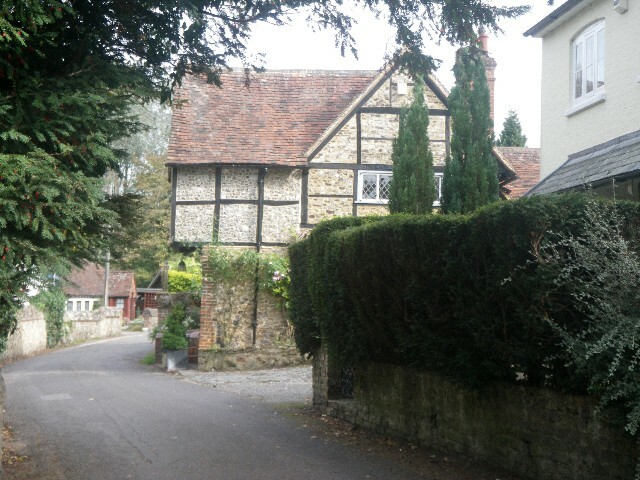 We bought in a meal prepared by outside caterers – a veg chilli dish – which was consumed with relish. It certainly made the in-house catering and hospitality task much easier. 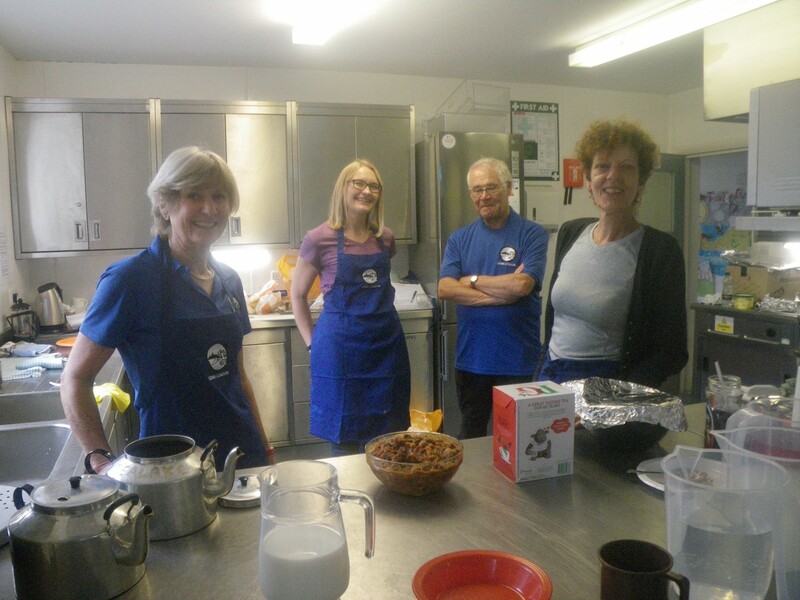 Chris Ketteringham led the kitchen crew who looked more relaxed than usual! 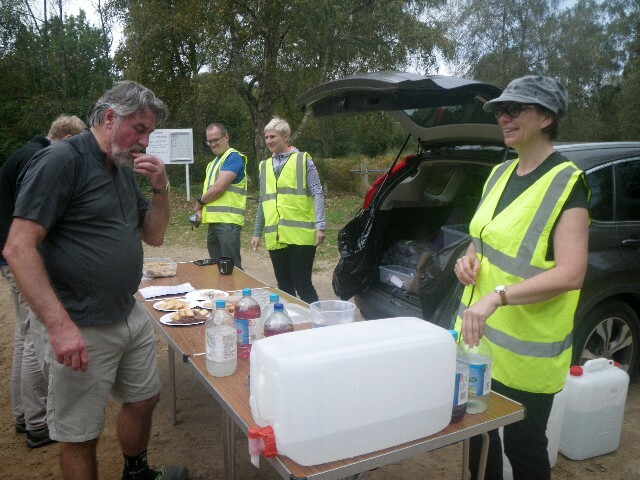 Special thanks to Cathy Phillips, Aga Geborek and Marita Sanders for their tasty home baking which was devoured with relish at the checkpoints. 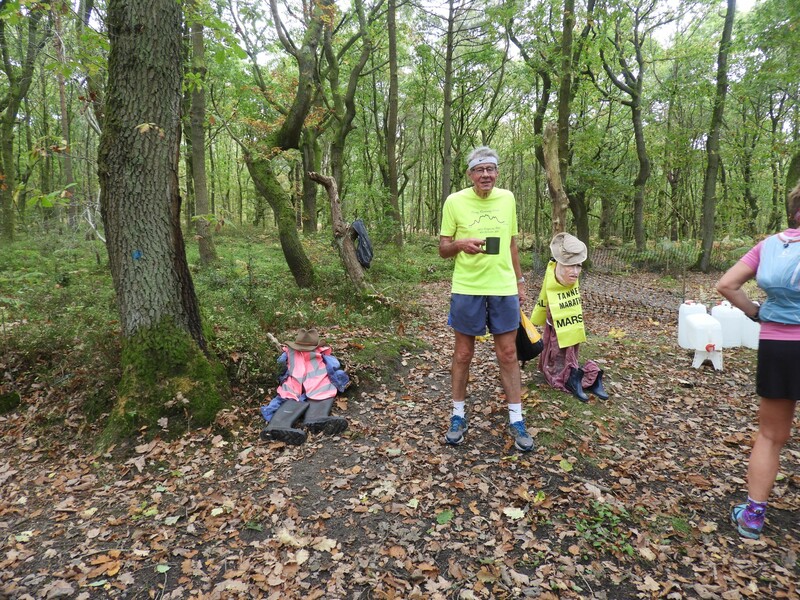 Sincere thanks and a donation go to the Friends of the Hurtwood, who maintain the car parks at Peaslake and much of the splendid forest that the event goes through, and to the Youth Hostel at Tanners Hatch where Checkpoint 2 is located. 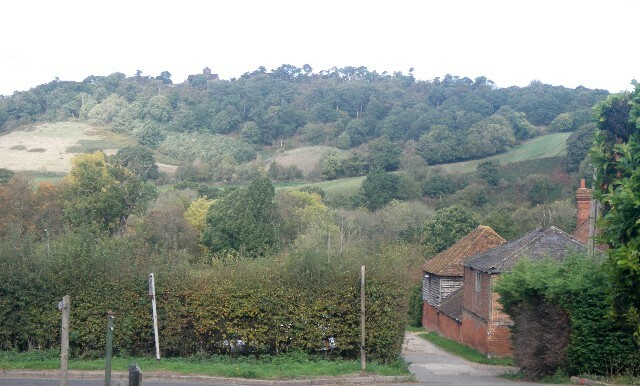 Thanks also to Surrey Wildlife Trust for allowing us to use the car parks at Guildford Lane and Friday Street for Checkpoints 1 and 3 and to the National Trust for licensing us to drive vehicles along the access road to Tanners Hatch. 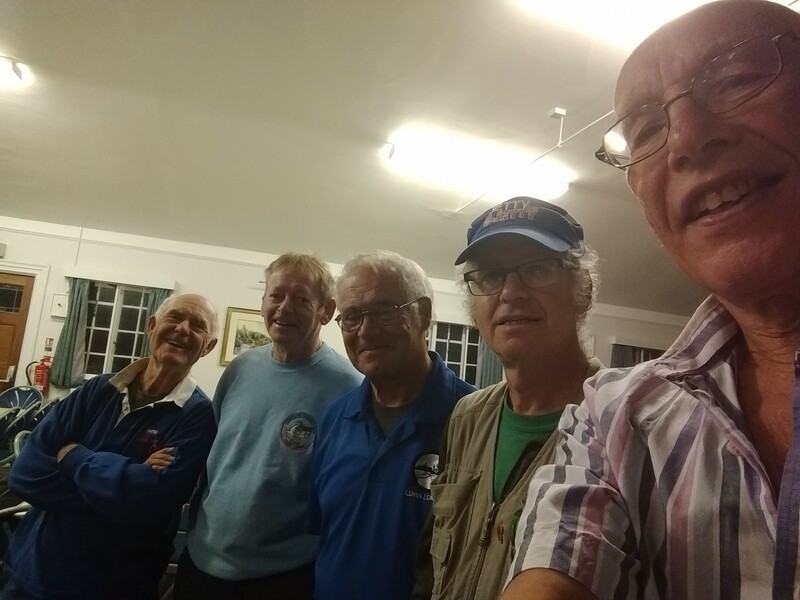 The Hall was set up on Friday evening by Chris Ketteringham, Paul Lawrence, Don Newman, Colin Saunders and Dave Williams. They were all back before 7 a.m. on Saturday for final preparations and were soon joined by Aga Geborek. 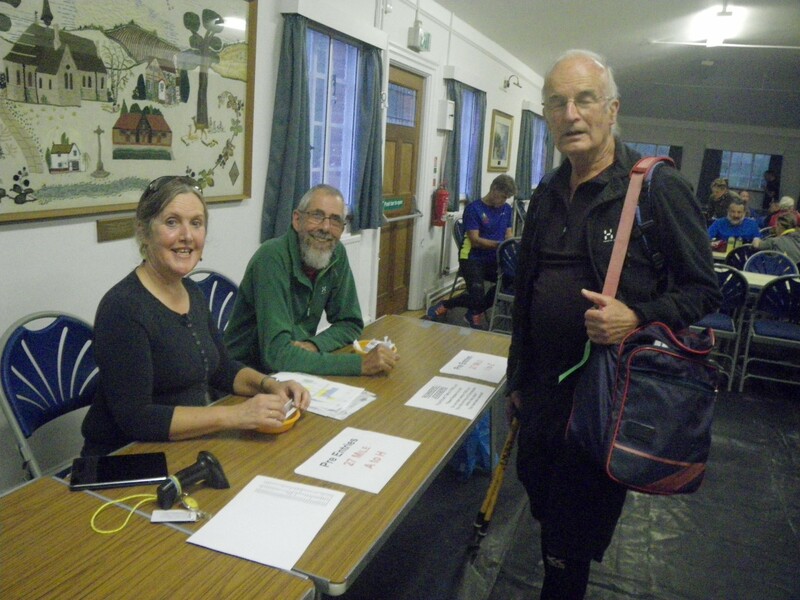 Car parking at Peaslake was marshalled by Don Newman, Andy Davies, Marie Heracleous, Colin Jones, Colin Saunders and Dave Williams who secured places for our entrants despite the presence of numerous cyclists. The kitchen crew was Chris Ketteringham, Aga Geborek, Maria Cascella, Jeff Golland, Colin Jones, Carole Melville, Don Newman, Cathy Phillips and Colin Saunders. 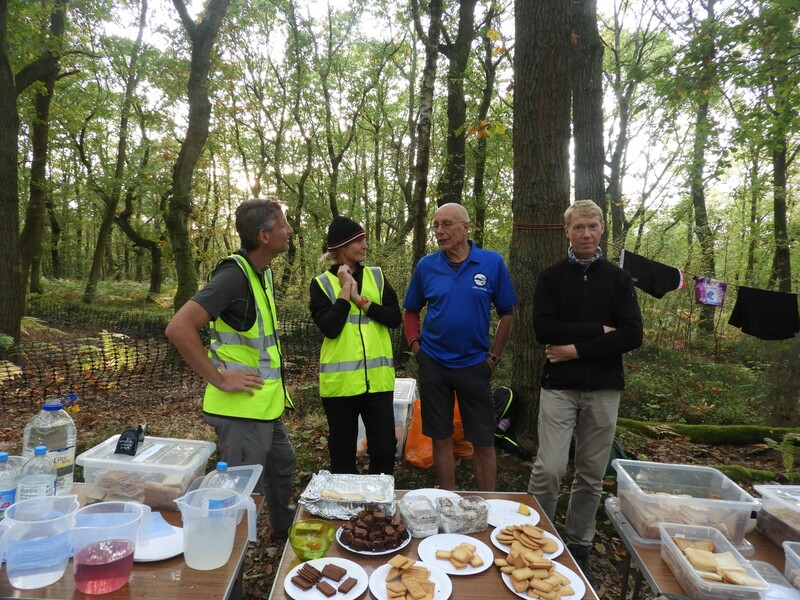 Checkpoint 1 was managed by Jeff Golland with Pete Buffham, Adam Dawson, Laurence Foe, Marie Heracleous and Lynne Mackenzie. 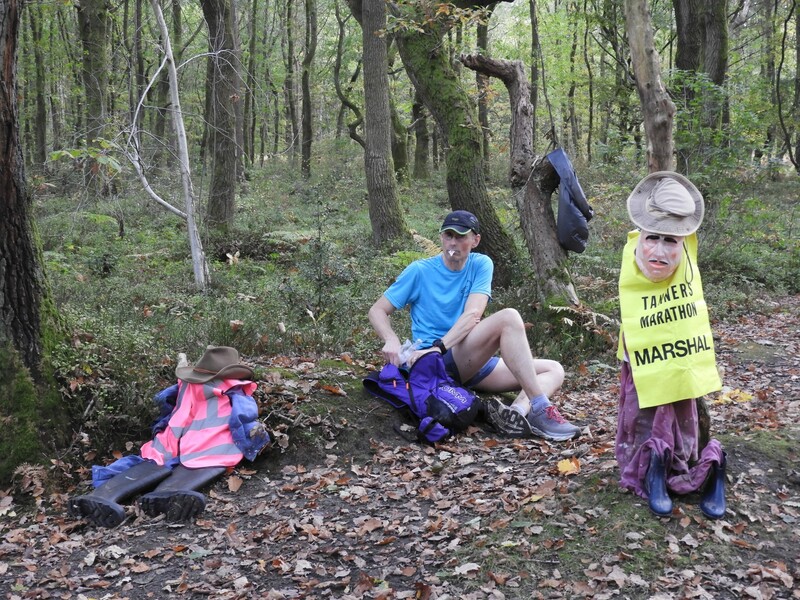 Checkpoint 2 was managed by Paul Lawrence with Melissa Butcher, Andy Davies, Linda Pan, Peter Russell and Dave Williams. 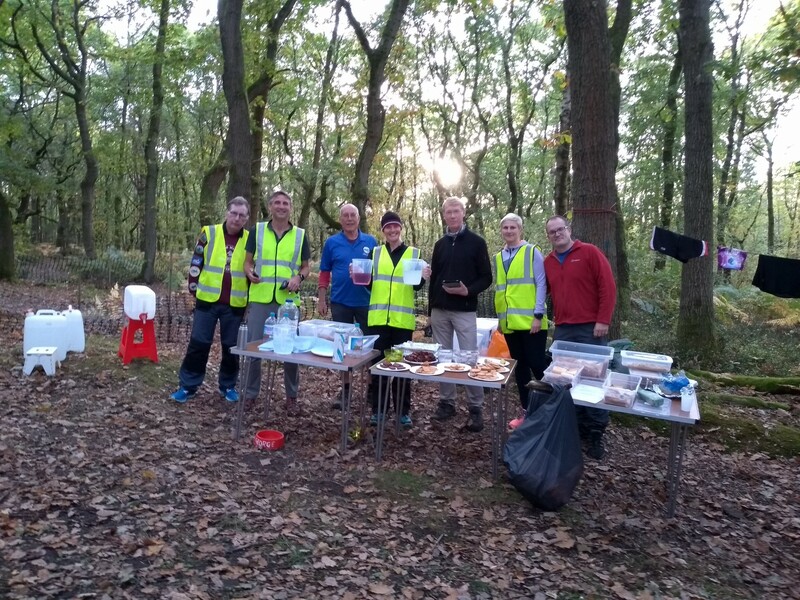 Checkpoint 3 was managed by Nigel Barraclough with Pete Buffham, Adam Dawson, Marie Heracleous, Fabrice Leistner and Tara Williams. 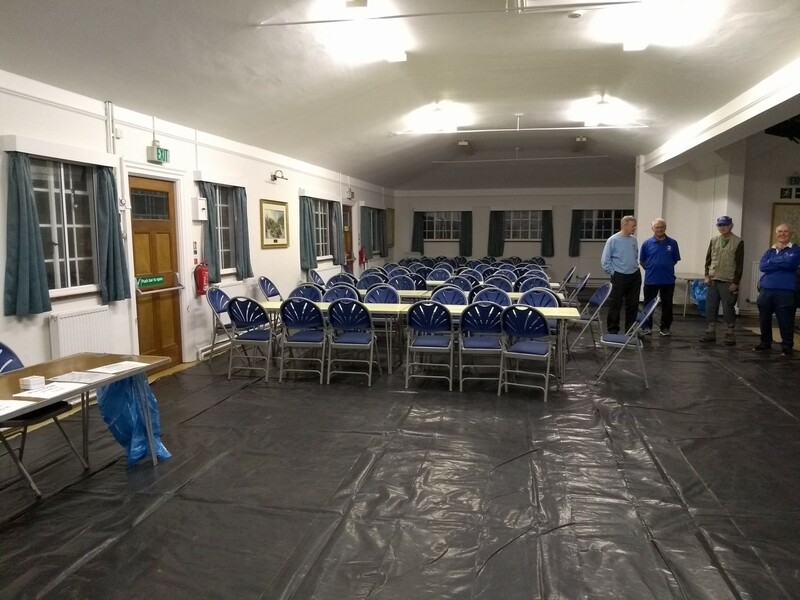 Many people helped with the clearing up and we were able to leave the Hall at 8 p.m. Many thanks to everyone for their support without which the event could not run and would certainly not provide as much enjoyment and challenge to the 148 participants.